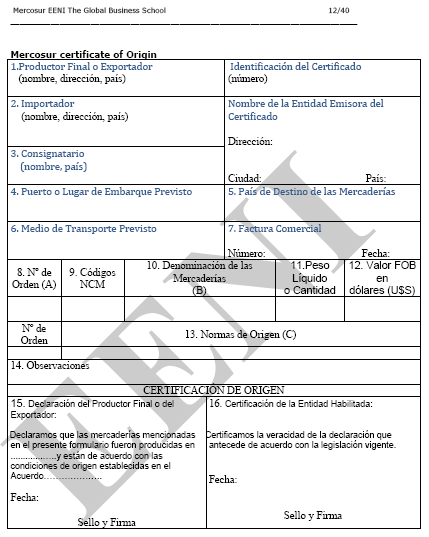 Syllabus of the Online Course (Subject): MERCOSUR (Southern Common Market). 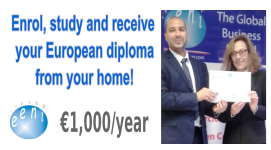 Description of the Online Course - MERCOSUR (Southern Common Market). 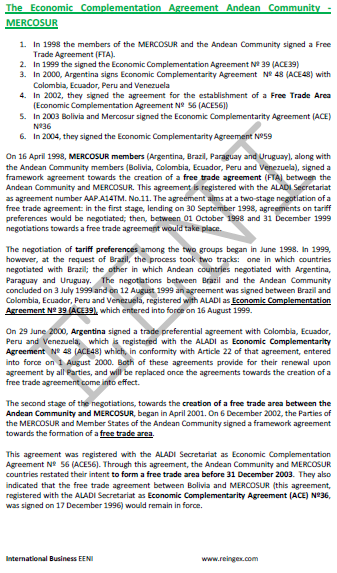 The MERCOSUR was created by Argentina, Brazil, Paraguay, and Uruguay in 1991 with the signing of the Treaty of Asuncion. 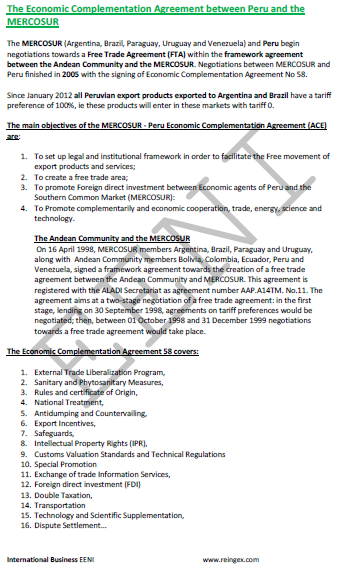 Venezuela joined the MERCOSUR in 2012. 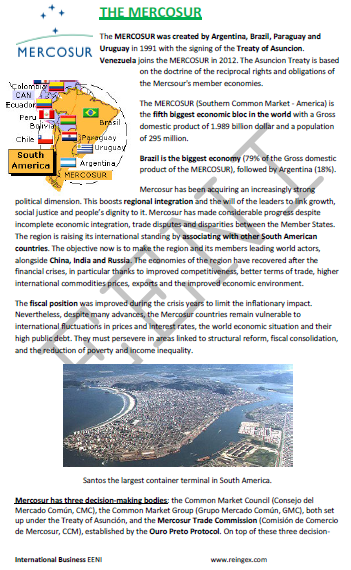 Brazil is the largest economy (79% of the gross domestic product of the MERCOSUR), followed by Argentina (18%). The MERCOSUR is a Christian economic bloc with a large Catholic majority. 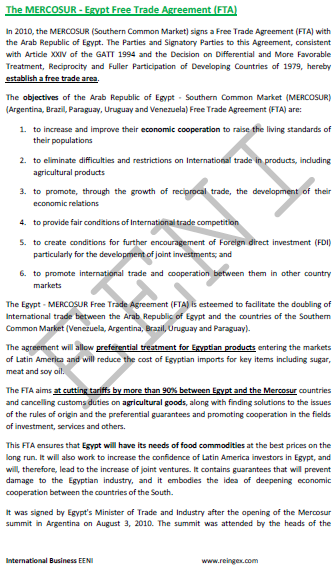 MERCOSUR's Free Trade Agreements (FTA): Chile, Andean Community, Chile, Mexico, Peru, India, Egypt, Israel, and the European Union. 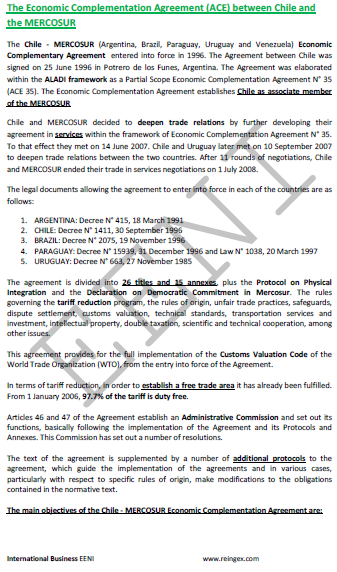 The European Union-MERCOSUR relationship is based on the European Union-MERCOSUR Interregional Cooperation Framework Agreement signed on 1995 in Madrid between the European Union and its member economies and the MERCOSUR and its Party States. 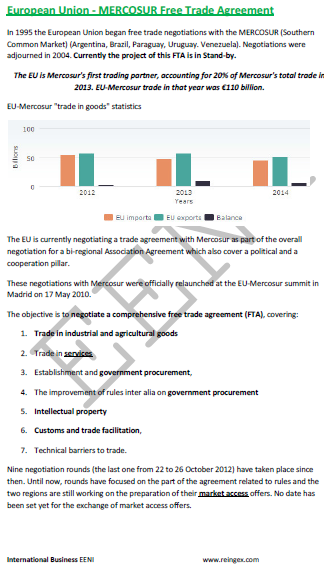 The European Union is the largest trading partner of the MERCOSUR and largest foreign investor in the region. 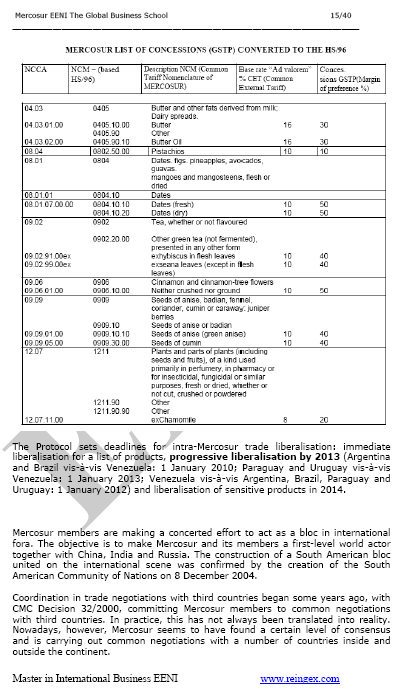 The Intra-MERCOSUR trade tariff is 0%, and a common external tariff applies to trade with non-MERCOSUR Countries. 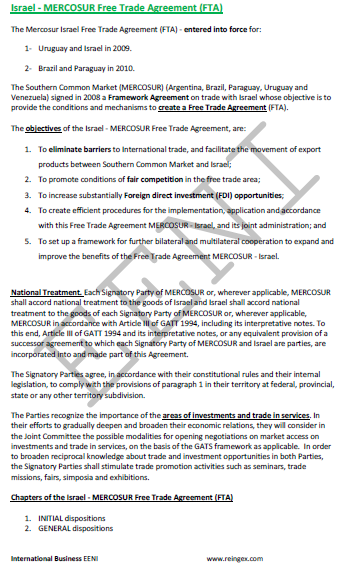 A Preferential Trade Agreement with India is in place, a free trade agreement with Israel is awaiting Congress' approval, and different International Trade Agreements are under negotiation with the Southern African Customs Union (SACU), the Gulf Cooperation Council (GCC) member countries, and Morocco. 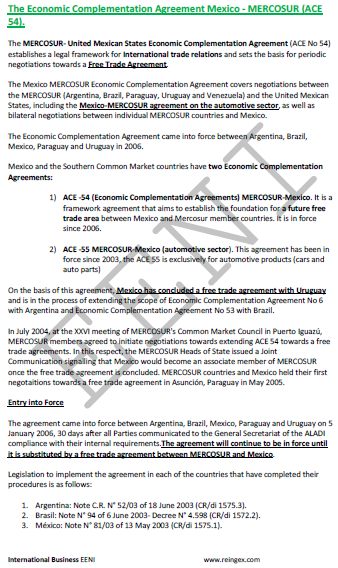 The MERCOSUR belongs to Latin American Economic Area (Western Christian Civilisation).